Bargain Book Alert! 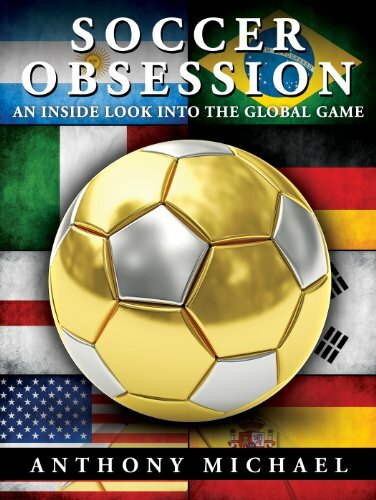 Soccer Obsession: An Inside Look Into The Global Game By Anthony Michael – Now $2.99 on Kindle! Soccer is the globe’s most popular sport. All around the world soccer fans are known to be fanatical, loyal and obsessed with the sport – its unique culture of global camaraderie, player worship and club allegiance has spurred hooligan firms, flamboyant club owners, corruption and disasters. This book explores what makes the world’s number one sport “The Beautiful Game,” just in time for one of the most anticipated sporting events in history: the 2014 Brazil World Cup. Readers will gain an understanding of soccer culture and will be brought immediately up to speed with everything they need to know. From the greatest players in history to the most prestigious football leagues in Europe, Soccer Obsession: An Inside Look Into The Global Game covers it all. Anthony Michael was born in Melbourne, Australia, and is a dual citizen of Hungary. His father is Hungarian and mother French-Italian. Holding an International Business degree, he is also a qualified percussionist and music producer, having studied music extensively since the age of seven. His articles have been published internationally in various magazines and sites, which is cited as a favourite past time of his. With an insatiable appetite for travel and an eagerness to explore off the beaten path, Michael travels at every opportunity – his travels and ongoing commitment to exploring the world are what inspires him to write.